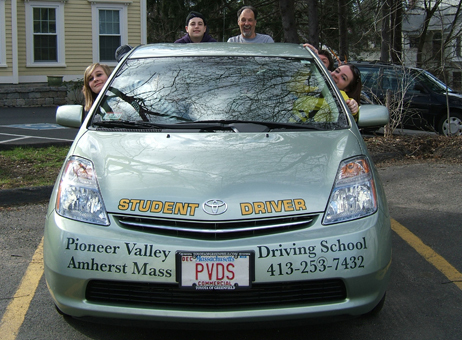 "When we opened PVDS, my intent was to make a living at something I loved to do. I love to drive, I love working with people, especially teens, and I love to help. Why didn't I think of this sooner? I studied many markets and knew that Amherst was the place for me. I can't remember exactly when I learned that the #1 killer of our teens is auto accidents, but I do remember that I felt I had to do something. Our most precious asset-our kids-are being killed senselessly. I couldn't watch anymore, and had to do something to help. I need to make a difference." "The most difficult part of this whole thing was to find employees that shared my convictions. It took a while, but I did just that. What a team! Experienced, friendly, knowledgeable, professional, caring --- there's not a better place for driver education! Ask a friend, or come by and see for yourself!"